Casey Gwinn is the visionary behind the Family Justice Center movement, the rapidly developing, international approach of co-locating services for victims of domestic violence, sexual assault, and stalking, and their children. Casey Gwinn is the visionary behind the Family Justice Center movement, the rapidly developing, international approach of co-locating services for victims of domestic violence, sexual assault, and stalking. Family Justice Centers bring together police officers, prosecutors, advocates, doctors, nurses, therapists, and other professionals — all under one roof — to support victims and their children. As a former City Attorney of San Diego and Founder of the San Diego Family Justice Center, Mr. Gwinn has been widely credited with the 90 percent drop in domestic violence homicides in the city of San Diego. He is also the Founder and current President of Alliance for HOPE International, a nonprofit organization dedicated to creating systems and social change. With a number of critical programs, the organization promotes collaborative, trauma-informed approaches for meeting the needs of survivors of domestic violence and sexual assault and their children. One of these is Camp HOPE America, the first evidence-based camping and mentoring program for on children exposed to domestic violence. Mr. Gwinn is an expert in the complex challenges of addressing near-fatal strangulation assaults in domestic violence and sexual assault cases. He has authored or co-authored nine books and hundreds of articles and media commentaries. His newest book, “Cheering for the Children: Creating Pathways to HOPE for Children Exposed to Trauma,” focuses on the impact of childhood trauma on adult illness, disease, and criminality. 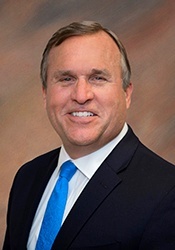 Casey Gwinn’s work has been recognized with numerous awards, including the Avon Foundation for Women’s Advocate of the Year, the Abely Award for Leading Women and Children to Safety, and Disability Independence Day Advocate of the Year. Mr. Gwinn was also named one of 21 leaders for the 21 st Century by Women’s E-News, and one of the Top 45 Public Attorneys in America by American Lawyer magazine. Multiple news outlets in the United States have profiled Casey Gwinn, including The Huffington Post, The New York Times, The New Yorker, ABC Nightly News, CNN, The Early Show on CBS, and The Oprah Winfrey Show. He is a widely sought-after speaker and trainer on issues related to family violence, across the country and around the world.